Chief operating officer Adam Clyne has left The Lad Bible, just six months after joining the Manchester-headquartered publisher. 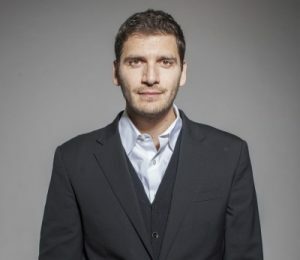 Adam Clyne, formerly head of Weber Shandwick’s digital and social content operations across Europe, Middle East and Africa, was brought in with a brief to take The Lad Bible to "the next stage of our evolution", chief executive Solly Solomou said at the time. But Solomou has now confirmed that Clyne has left the company and that the COO role has been made defunct. He's the latest senior executive to leave the publisher following the departure of its commercial director and marketing director. He added that the company had recently topped £1m revenue in a month for the first time and had enjoyed a "massive Q4", with "exciting plans in the UK and overseas for 2017". The Lad Bible Group, which is also behind The Sport Bible, The Odds Bible and Pretty 52, has over 18.5m likes on Facebook alone for its flagship title.